Vi-Shape is the foundation of every Body by Vi Challenge Kit thanks to an unbeatable combination of great nutrition and great taste. Whether your Challenge goal is to lose weight, be more active, or get fit, Vi-Shape is an innovative and delicious way to give your body what it needs. 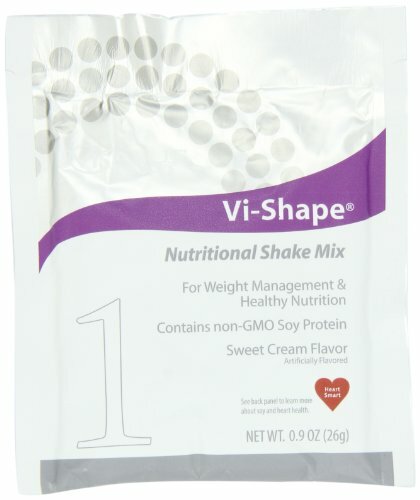 Vi-Shape supports your success thanks to an exclusive Tri-Sorb protein blend, and is low fat, low sodium, low calorie, low sugar, and lower carb than other brands. Best of all... it tastes amazing! Great on its own with a delicious Sweet Cream flavor, or shake things up with one of our flavor mix-ins, fresh fruit, or any of the over 1,000 community favorite recipes found at recipes.vi.com. It's fast, delicious, and healthy... all for less than $2 a meal! If you have any questions about this product by Visalus Sciences, contact us by completing and submitting the form below. If you are looking for a specif part number, please include it with your message.